There are as many Puerto Rican shrimp recipes out there as there are cooks. What makes this one unique is the ease and speed that you can make it. Ready in less than 30 minutes; it makes a quick mid-week meal or last-minute dinner addition when unexpected company arrives. It tastes great over white rice with a slice of avocado or tostones. We like to serve shrimp stew with white rice because it won't overshadow the flavors of the stew. However, you can serve this with any rice recipe you like. Puerto Ricans serve twice-fried green plantain chips with just about everything. You can also serve maduros, which are sweet yellow plantains. In a large saucepan, heat the olive oil. Add the sofrito, bay leaves, Spanish Manzanilla olives and diced ham. Saute the mixture over medium heat for 2 to 3 minutes, until fragrant. Then add in the sazón, tomato sauce, and stewed tomatoes. Bring the mixture to a boil and then immediately reduce heat and simmer for about 5 minutes. Next, toss in the shrimp and cook until the shrimp just turns pink - about 5 minutes. Do not overcook. Lastly, season with salt and pepper to taste and allow the mixture to simmer for 1 more minute. That's it; you are done. Remove the mixture from the heat and serve hot over white rice or yellow rice. For the canned tomato sauce and stewed tomatoes below, use a pre-seasoned one such as that which is flavored with onions, celery, and green peppers or make your creole sauce. You can also purchase plain tomato sauce and spruce it up with spices and seasonings you have in your kitchen cabinet (ex: oregano, parsley, dried onion, and garlic). 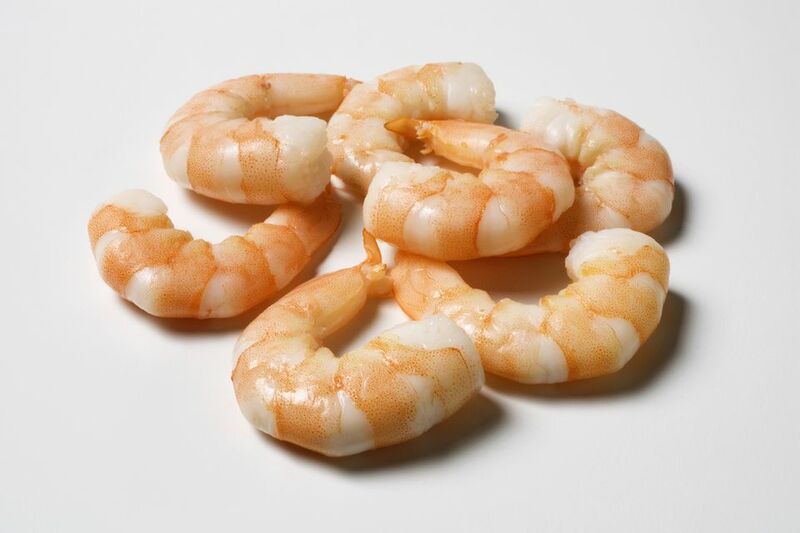 Save time by purchasing shrimp that has already been peeled and deveined. However, use raw shrimp, not pre-cooked. If the shrimp is pre-cooked, it will just get overcooked and rubbery in the recipe.